The Cannon Falls speech team is aiming to send students to state after the section tournament which is taking place on Saturday. 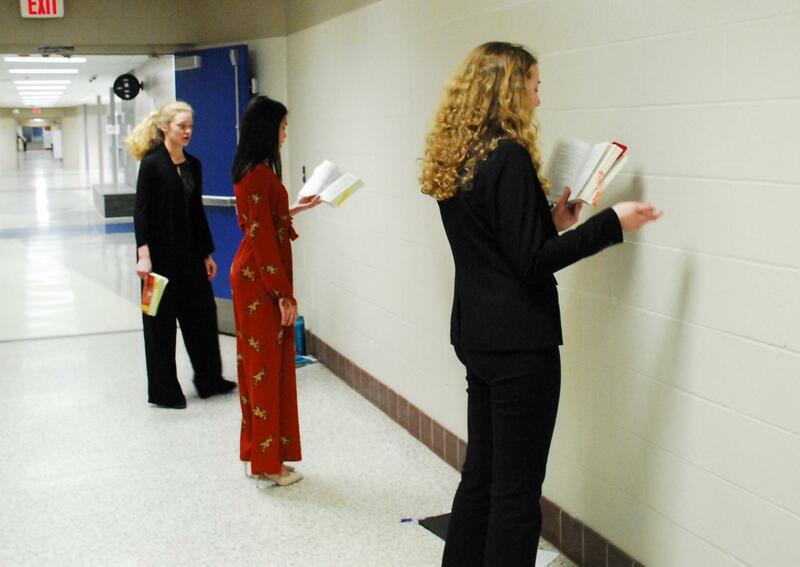 Ava Brokate, Aizlynn Thim, and Jessica Baszuro prepare for round. After a very successful Sub-Section tournament, the Cannon Falls Speech Team will be sending 41 competitors onto the Section tournament in Byron this Saturday. Among the 41 competitors, ten of them were event champions. Jeffrey Zimmerman won Creative Expression, Nick Engebretsen won Discussion, Josie Rambler won Dramatic Interpretation, Caden Bell and Xander Weinrich won Duo, Zoe Jesh won Extemp Reading, Ryan Schlichting won Extemp Speaking, Emma Conway won Great Speeches, Laura Johnson won Informative, Vienna Qualey won Prose, and Bryson Felton won Storytelling. The team swept up the competition, and is looking to do the same at the section tournament this weekend. Those who reach finals this weekend are given the opportunity to qualify for state, which will take place on Friday, April 12th in Apple Valley. Only the top three competitors are able to move onto state, and Cannon Falls, like everyone else, is trying to get as many people to the state competition as possible. The team is seeking to defend their Team State Championship title from the past 3 years.